Thinking of renting a car for a few months? It might be best to avoid rentals altogether and pick up a car lease from someone who is trying to unload theirs. LeaseTrader and Swap-a-Lease are online marketplaces designed to connect people looking for a car lease with those wanting to get out of one. Think of them as Match.com for car leases. Both services feature listings with many months left on a lease, but you can find short-term deals, too. The primary benefit is cost. You can find some dirt-cheap offers because many people are desperate to unload their leases. Also, if you already have car insurance, it can be an easy process because lease transfers require that you have insurance. You can also expect to get a relatively newer car that's less than five years old, and lease transfers typically require that the car has recently passed inspection. There are also some caveats to picking up someone's unwanted car lease. You need to have the time and energy to find a car and seal the deal. The process can be long—sometimes stretching to six weeks or more—and more complicated than simply renting a car from a rental car company. There can be a litany of fees and assorted costs, especially if you choose a car that needs to be transported from another state or region. Watch out for listings that require large down payments. Other cars may look like a fantastic deal, until you notice that they also offer very limited mileage per month. 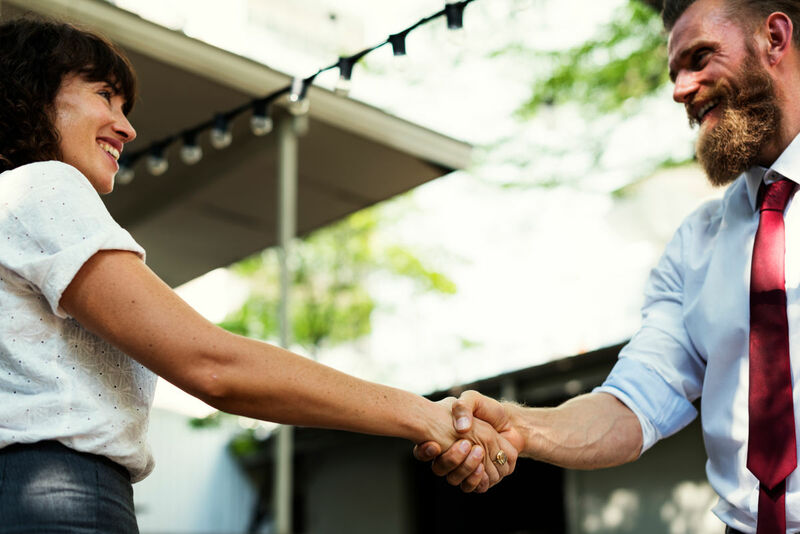 You can communicate directly with the seller and, if there's agreement, you can start the transfer process. There may be room for negotiation. Sometimes sellers offer cash incentives. We've seen offers of up to $800 upfront cash for short-term leases. Read the contract carefully before signing. The paperwork will need to be signed by you, the seller and a representative from the leasing company. When the deal is done, you'll get a copy of the signed documentation. The last step is to go to the DMV to get license plates and other registration materials. 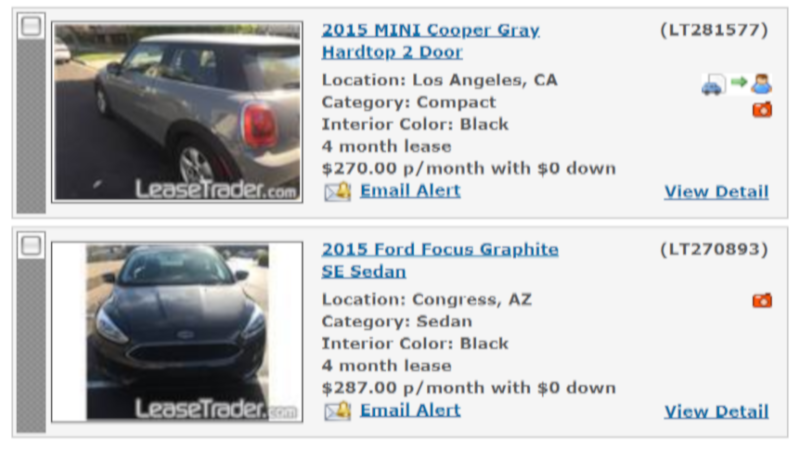 Buyer Programs Swap-a-Lease and LeaseTrader take a small cut in exchange for letting you use their sites. Transportation Fees Can be expensive. Cross-country delivery can cost up to $2,000. When we looked for long-term car rentals at major rental companies, we found that the cheapest monthly rentals are in the $700 to $750 ballpark. On lease transfer sites, you will find that, in comparison, leases are a steal. Even when you add in the associated costs ($200 transfer fee, $35 buyer program, LeaseTrader's commission, and $300 transportation fee) the total cost for a three-month lease can be in the $2,000 ballpark. That's about $200 less than the best deal we could find at a rental car agency. Whether a car lease makes sense for you depends on how much hassle you are comfortable with. The process of assuming a transfer lease might require more time and effort than you are willing to spend. But in many cases, this will be the cheapest option if you need a car for the long term. Looking for an option with less hassle? It's worth checking out long-term car rental rates from the rental car companies. AutoSlash can help find discounts on your long-term rental. Request a quote now. Already booked a long-term rental rate? See if we can beat it.